The success of a trade show campaign hinges on a well-trained and prepared trade show booth staff and the way they interact with prospects and attendees on the show floor. In this post, we outline the best practices when it comes to staffing your booth, assigning roles and responsibilities to staffers and budgeting concerns when it comes to preparing your trade show booth staff for the show floor. Before you begin recruiting your booth staff, take time to think about your organization’s goals for the show and make a list of the skills, competences and knowledge required for your booth staff members. Once you have made your list, break down the different roles and responsibilities of booth staff members (i.e., greeters, presenters, sales representatives, etc. ), and what you expect of them in their assigned role. Vet each potential booth staffer to ensure that he or she can effectively perform the duties required in the manner your trade show program demands. Carefully evaluate the personality and disposition of potential team members and assign roles that best fit who they are as people rather than assigning roles based solely on skill and knowledge set alone. Make sure that you balance the right mix of skillsets to represent your company. Clearly outline expectations and responsibilities so each member of your team can prepare themselves in time for the show. Training should be included in the trade show planning process, which includes budgeting for training materials and training time. Be clear about goals and expectations so your staff understands what it is your company is looking to accomplish by attending the show. After you have outlined the roles and responsibilities you believe will lead to success on the trade show floor, you can now focus on matching responsibilities with job titles. 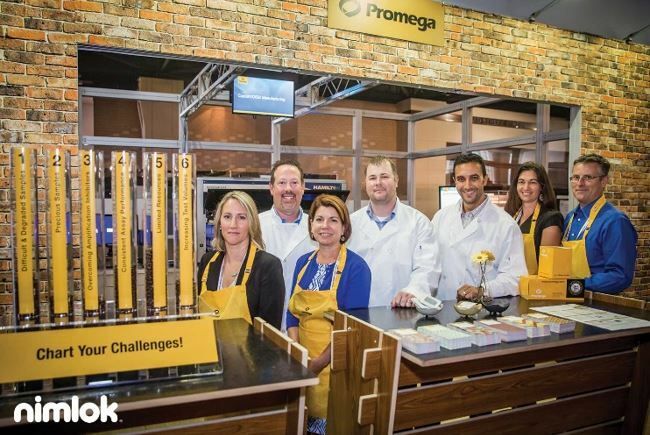 Below we list some of the most common roles performed by trade show booth staffers. Hosts – Hosts specialize in welcoming and registering booth visitors. They also serve as guides, directing prospects to areas of interest inside the booth where exhibit activities such as games, contests and product demonstrations are taking place. Hosts are your company’s brand ambassadors and are, many times, the first staff members with whom visitors interact. Outside of greeting prospects, hosts can also distribute promotional materials and assist with food and beverage service if needed. Presenters – Skilled public speakers, presenters are adept at giving live in-booth presentations and demonstrations. Presenters often work in an in-booth theater or stage area and should be your designated product demonstrators and experts. Good presenters will keep your prospects engaged and in the booth by entertaining and educating them on your brand and its capabilities. 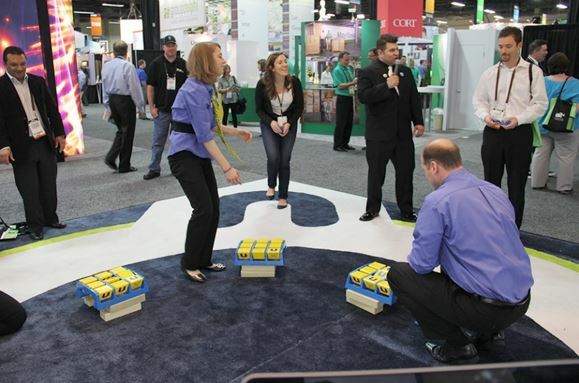 Crowd Gatherers – Crowd gatherers take on the host’s role outside the booth, engaging attendees in the aisles and areas surrounding your booth. Crowd gathers ask qualifying questions to gauge attendees’ interest in your products and direct them to your booth to learn more. Lead Gathering and Sales Staff – These staffers are skilled sales professionals and, as such, they are experts at pitching your products and services and are masters at qualifying attendees. They are also often tasked with collecting lead data and passing off the most qualified prospects to your company’s inside sales staff for follow-up post-show. A well-designed and engaging trade show booth is only as effective as the staff manning the exhibit. 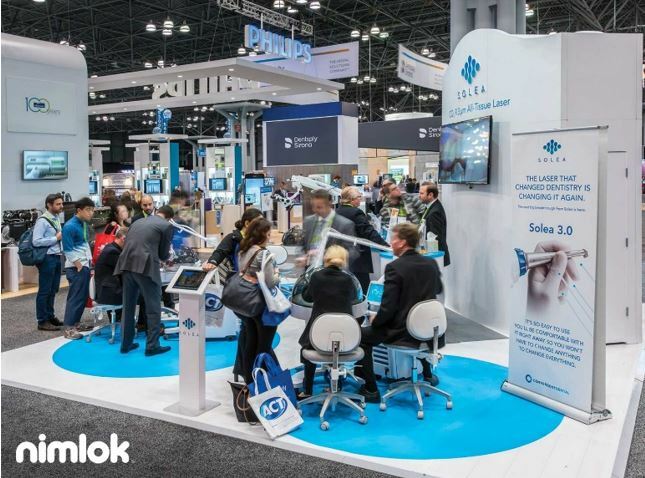 An undisciplined and poorly trained booth staff will directly impact your brand’s perception in the public eye —and in turn—the success of your trade show campaign. Properly training staffers significantly diminish the chances of miscues and increase the overall performance of your marketing program, leading key stakeholders in your organization to feel that exhibiting at trade shows is worth the investment. Having a well-groomed booth staff is essential to projecting a professional image on the trade show floor. Make sure every member of your team understands the importance of maintaining a clean-cut appearance. Untucked shirts, dirty clothing and wrinkled attire can turn off prospects and make your organization seem less professional. Depending on the industry, business casual dress is usually a safe bet, but both formal and informal attire may be best depending on the show. Since your trade show booth staff are the face of your organization, they have to be able to project a warm, professional and friendly demeanor. Staff should smile when greeting visitors, say “please” and “thank you” and use polite language throughout conversations. 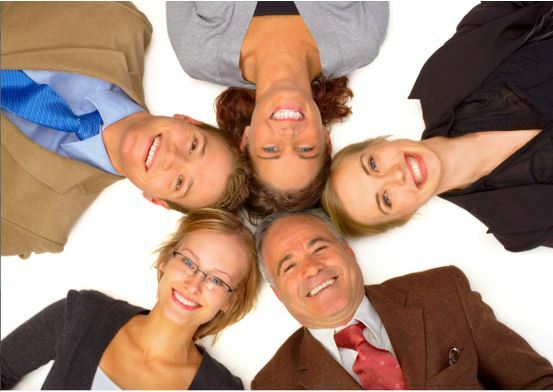 You may also want to recruit the most approachable and people-friendly employees at your company to staff your booth. Every member of your booth staff should be trained on the products and services you choose to market at your event. 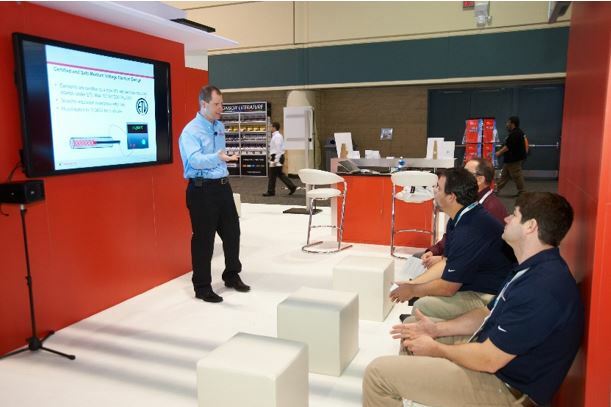 Product knowledge ensures that booth staffers can communicate effectively and enthusiastically, building trust and on the show floor. It also means they can answer questions on the spot and overcome common customer objections. Your staff needs to know the right way to sell your products and services. Prior to your event, make time for your staff to rehearse your sales pitch and make sure the pitch aligns well with your overall marketing message. Have staffers work in groups and pairs so they can perfect their approach with role playing. Staffers should rehearse two pitches: a short 30-second elevator pitch that will grab the attention of prospects and a longer, more-detailed pitch designed the present to value of your products and capabilities and close sales with interested prospects. People skills are essential for sales representatives on the trade show floor. Having a team of booth staffers who possess the ability to understand, relate to and interact with different types of people will undoubtedly help your brand at an event. Promote introspective thinking to help team members identify interpersonal barriers that could be stifling their success. Teach your staffers how to filter out serious prospects from ones just looking for giveaways. Practice listening exercises with your team to help them communicate more effectively. Have your team study body language, which can often be more telling than verbal communication. Practice stress-coping techniques to help team members better handle rejection or to decompress built-up tension. To create a winning trade show team, it is essential to look for team players who are not only great sales representatives and marketers, but who also work well in a group setting. Make sure your team members align their values and goals with each other and with your company. Maintain a high-energy environment that promotes team-oriented solutions and offers initiatives for thinking outside the box. Identify the diverse personality types of your team members and learn how to blend them together to make a stronger unit. Hold team lunches and activities before the event to encourage bonding. Earning the trust of attendees is the most important factor when it comes to interacting with prospects on the show floor. Booth staffers should receive training on how to build trust prior to the show. Listening is strongly tied to gaining the trust of prospects. While communicating your brand’s message to your visitors is an obvious goal — the ability to listen to their concerns is just as important. It may sound like a no-brainer — but many booth staffers are too focused on pitching products that they forget to actually listen to visitors . Remember you want your visitors to trust you, and one of the first steps in trusting someone is having them really listen to what you have to say. Your visitors are coming to your booth to learn about your products and services, so your booth staff should be as knowledgeable as possible. Attendees want to be able to trust that your company is an expert in its field, so be sure to spend time educating staffers on products , industry trends, your company’s competitive advantages and your booth campaign. It is crucial for both you and your booth staff to be as polite and well-mannered as possible when engaging prospects on the trade show floor. Spend time teaching staff how to politely converse with different personality manage types and how to professionally unhappy visitors, vendors or competitors. Make sure staffers shake hands with every visitor entering your booth. Maintain eye contact when engaging with prospects in conversation. Smiling and being friendly can go a long way in establishing trust with attendees. Present positive body language with visitors during conversations. Remember to say “please”, “thank you” and “excuse me” to illustrate respect and politeness. Your booth trade show staffers are the most effective—and sometimes most expensive— trade show marketing asset. The personnel that staff your booth make up an average of 20% of your event marketing budget, so pay close attention your staffing expenses. The cost of getting your staff to and from the show needs to be carefully planned. Most hotels and airlines have group rates that can help drive down expenses. Designate one member of your trade show team to book travel, lodging and transportation for the group. This tactic will help simplify the coordination of group packages and deals. Communicate expense limits to your trade show staffers. If your organization does not have an official travel and expense policy for trade shows, consider drafting one that includes per diems on travel, hotels, dining, tipping and entertainment. Purchase your airline tickets early to secure lower fares. Tuesdays are normally when you’ll find the lowest fares. Your staff needs to travel between the hotel and the show. Some events will provide shuttles or other transportation for attendees, but your team may need to find alternative transportation methods. Be sure to budget for taxis, buses, trains, rental cars or other methods if necessary. Before you can build your all-star trade show staff, you need to design and build a killer trade show exhibit. 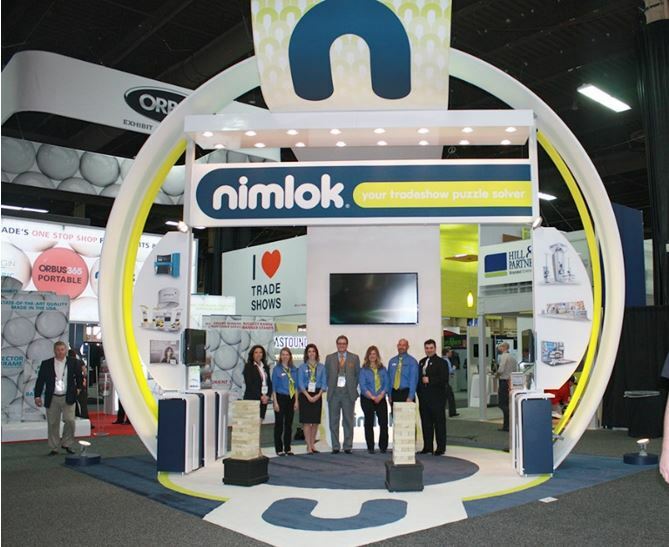 Learn the process of creating a killer trade show exhibit with Nimlok’s free e-book, which explores the planning, prep and processes surrounding the design of a semi-custom or custom trade show exhibit.